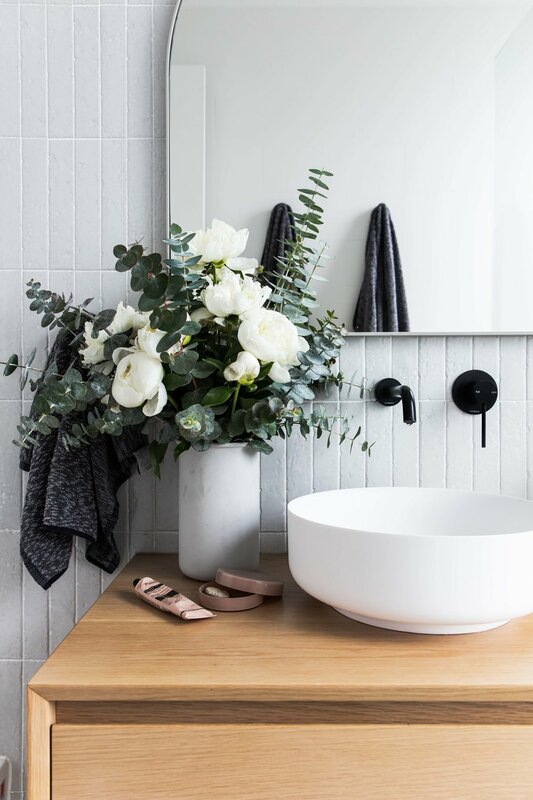 Renovating your bathroom can be one of the most daunting projects you will ever have to tackle! There are so many decisions to make and once you make them there is no going back. Tiles are stuck down, taps are plumbed in and vanities are installed! Ohhhh the stress of it all!!! Its vital that you get it right so we asked Chris from Glo Flow Plumbing what his top tips are when doing your plumbing set out! After working on hundreds of commercial and residential projects over the past few years, Chris shared with us his their very own standards which combines their customer preference and set heights provided from some of Australia's best architects. + shower mixer and wall mounted basin mixers at 1050mm. + vanity cabinet with a bench mounted basin - aim to have the bench top height at 800mm with the bowl sitting on top reaching 890mm-950mm. (most bench mounted bowls are between 90mm and 150mm). Give or take a little to these measurements for your personal preference. + for a small price jump you can make an average bathroom look like a designer bathroom. + customers will often ask "what happens when they have a problem or break?" but Chris assures us that he does not have to do many repairs on these but if a repair is required they are much easier to fix than you would imagine. He recommend the Caroma Invisi series. Everyone loves a hot steaming shower in the middle of winter but you need to keep in mind that not everyone likes to get their hair wet every time they shower. Chris says a diverting mixer is a great way to achieve the best of both worlds allowing you to have the overhead option as well as a hand held or lower shower rose option keeping your nans perm intact!